Santa Ana Lane will head overseas after beating the cream of Australia’s sprinters at Randwick. The $2.5 million TJ Smith Stakes was billed as the race of the day but Santa Ana Lane has made a one-act affair of the Group One sprint at Randwick, earning himself an international campaign. In a field littered with Group One winners, Santa Ana Lane ($7.50) settled back in the field and unleashed his trademark big finish, storming down the outside to score by a widening 3-1/2 lengths over Osborne Bulls ($4 fav) with Sunlight ($6) a brave third after travelling wide. 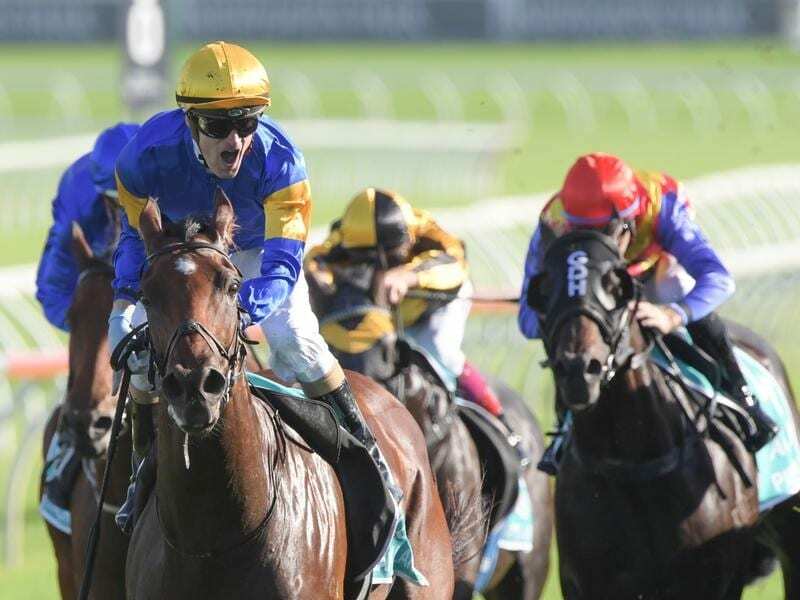 The win was Santa Ana Lane’s fifth at the top level and trainer Anthony Freedman said the horse had earned the right to take on the world with the Hong Kong Chairman’s Sprint at Sha Tin on April 28 first stop ahead of a possible Royal Ascot campaign. “He’s probably the best sprinter here now,” Freedman said. “He’s been under-rated, but he probably isn’t after today. “I was worried about the (wet) track but I knew the horse was as good as we’ve had him and when he’s like that, he can do that. The Diamond Jubilee Stakes (1200m) at Royal Ascot in June and the July Cup at Newmarket a month later will both be considered for Santa Ana Lane. Having learned from his experience taking Falkirk overseas in 2006 when he finished fourth to Takeover Target in the King’s Stand Stakes at Royal Ascot, Freedman said it was important to take a horse overseas still at the top of their game. “He’s only had two runs here and if he runs in Hong Kong in two weeks we’ve got six weeks ’til Europe, he’s had his runs spaced and he’ll be there on fresh legs. Osborne Bulls racked up his third consecutive Group One second when he came from back in the field but wasn’t able to match the finishing sprint of Santa Ana Lane. Blake Shinn on seventh placed Trapeze Artist said the horse didn’t stretch out on the soft ground while Redzel disappointed after being ridden for speed by Kerrin McEvoy. “He travelled well for the first part of the race, spun his wheels a little bit around the corner which had me worried, and his effort was short-lived in the straight,” McEvoy said.